Black Friday is coming up, but you don’t have to slay the retail dragon to score a deal on a new TV. In fact, you don’t even have to leave your house if you don’t want to. Before you shop, here are a few tips to make sure you find the right TV (including some leads on hot pre-Black Friday sales so you can stay home instead). Don’t just buy the same size TV you already have or the size TV you think you should have. Getting the best value is about picking the right TV the space you watch it in. Before you even look at any ads, get a tape measure and find out how far your couch is from where you want your TV to be. This will help you decide two important details about the TV you buy: how big it should be, and how much you’ll benefit from 4K. 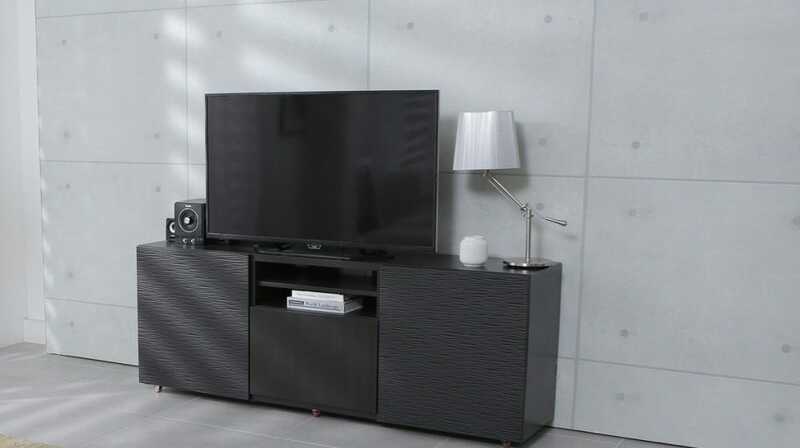 It’s not about how much TV you can afford, it’s about how much TV is appropriate for the space you’ll be watching it in. If, for example, you sit seven feet away from the TV, a 65″ 1080p TV will look a little pixelated, but a 4K TV will be a lot more crisp. This tool can help you find out the best viewing distance for different sizes and resolution of TV. It’s worth pointing out that even if you wouldn’t be able to tell the difference between 4K and 1080p at your viewing distance, you still might want a 4K TV for the HDR elements (which we’ll talk about in a bit). However, it always helps to know how big of a TV you’ll want for your living room. A 4K Blu-ray Player. Regular Blu-ray players can’t play the new 4K UHD discs you see at the store. If you want to get the absolute best quality movies you can watch on your new TV, you’ll need a new Blu-ray player. A 4K Streaming Box. We generally recommend avoiding the software on your smart TV. If you have a Roku, Chromecast, or Apple TV that’s older than a year or so, you might need to upgrade it in order to watch Stranger Things in glorious 4K on Netflix. High-Speed HDMI Cables. You probably already have a few of these laying around, but it’s still worth checking. High-speed HDMI cables are capable of carrying the amount of data necessary for 4K video. They’ve also been around for a while, so if you’ve gotten new cables in the last few years, you might have them, but check to make sure you have the cables you need. If you do have to buy new cables, skip the overpriced ones in the store and get a cheap one from Amazon Basics. You may already have some of this in your home—for example, the Xbox One X and One S can play 4K Blu-rays—but it’s worth checking what you have before you go shopping. You don’t want to miss an awesome deal on a 4K-capable Roku because you thought you already have what you need. This year is a good time to upgrade to a 4K TV. However if you want to make sure you’re not shopping for a replacement anytime soon, get a TV that supports High Dynamic Range (or HDR). This feature lets your TV display brighter whites and highlights, darker blacks, and a wider array of vibrant colors. Arguably, it’s even more important than 4K. You can sit far enough away from your TV that you don’t notice the extra pixels, but you’ll always notice richer colors and deeper blacks. When choosing between a slightly bigger TV or a TV with High Dynamic Range (HDR), pick the HDR TV every time. Most 4K TVs will have HDR support, but some on the cheaper end might forego the feature in order to bring the price down. If you want to get the most out of your TV as long as possible, skip these. It’s not worth it to save $100 today only to buy a whole new HDR TV in three years. As long as you’re getting some kind of HDR support, you should be fine, but you do have options. There are two main kinds of HDR: HDR10 and Dolby Vision. Most TVs support HDR10, but only a few also support Dolby Vision, which is technically better but it’s also more expensive. You do not need Dolby Vision to get on the HDR train, but if you feel like spending the extra money this might be a good weekend to look. Just make sure that whatever 4K TV you get has at least one kind of HDR. Black Friday gets all the attention, but in recent years, it’s gotten less important. The Monday after Black Friday—known as Cyber Monday—has equally good or better deals. Especially for electronics. Some deals are already available online the week before Friday. On top of all of this, retailers still offer huge discounts up to the holidays. After all, It’s not like stores just decide they don’t want your money after Black Friday. They’ll keep pushing deals up through the new year. You also don’t need to leave the house to get a good deal. In desperate attempts to keep Black Friday as relevant as possible, retailers are making Black Friday more of a chore than ever. Wal-Mart and several other retailers are starting some deals at 12:01 Thanksgiving morning, with special Black Friday deals starting later at 6PM. Instead of heading to the store twice on Thanksgiving, spend that day with your family and find deals now, or later in the week. You’ll still have plenty to choose from. We included a couple old fashioned HDTVs in the list at the very end, just in case you want to toss an extra set in the guest room or kitchen (but we can’t recommend them as your main set). 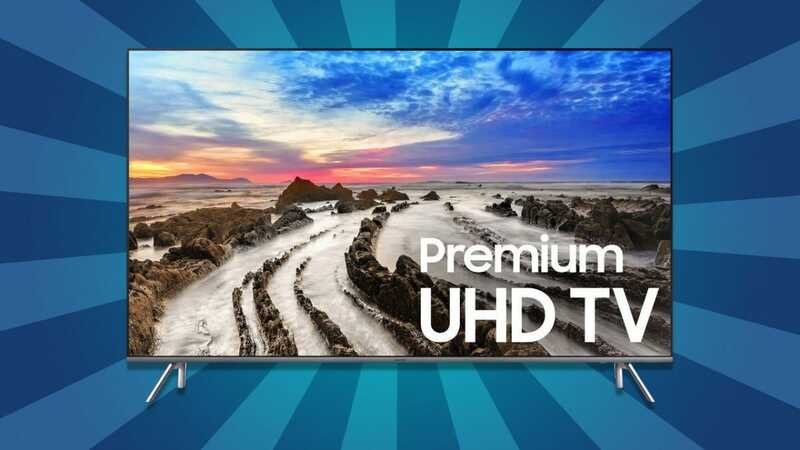 However, regardless of what you want to buy, there’s a decent cross-section of excellent TVs at any price point that you can already buy today—no gate-crashing required.